Trails in this website refer to the white smoke left by a passing aeroplane, it is more often refered as contrails. Trails can be produced by aerodinamic shape, like in a wing tip or tail tip. In scientific reference contrails usually refer to trails produced by the engine exhaust. Trails can also form by a smoke maker often used in acrobatic plane show. Chemtrails is trails that harm people and the environment. Chemtrails is often referred as weather weapon because people often see how the weather turn worse after chemtrails dominate their sky. 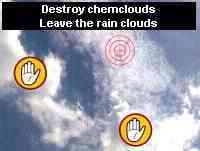 Other call chemtrails as bio weapon because they get sick everytime chemtrails dominate their sky. Scientific references mentioned that trails warm the surface. Trails do not just stay in the line clouds formation and dissipate, trails often form thin clouds that span from horizon to horizon. This thin clouds create warming much greater than any greenhouse gasses. In an IPCC graph, the cloud from a contrails can heat the surface more than twice of carbon! 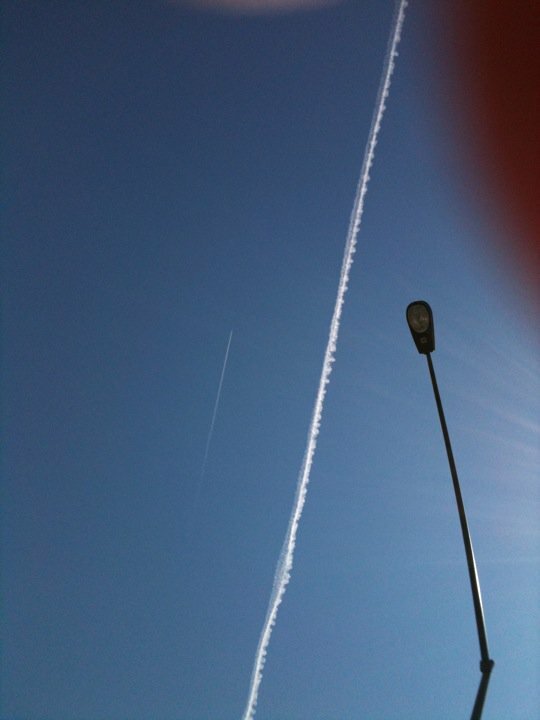 The particle that is responsible for the creation and visible property of contrail is sulfur. Scientist acknowledge that sulfur allow contrails to appear in a broader range of temperature of relative humidity related to ice. Sulfur allow contrails to show up even on normally non favorable condition. This sulfur also do great harm to the environment. Sulfur reported can induce drought, ozone depletion and acid rain. All are damaging to the environment and any living being on earth. If there is extreme weather today, then it happen because of chemtrails. If climate change really happening today then it happen because of chemtrails. If global warming really happening today then it happen because of chemtrails. When the chemtrails spraying stop, there would be no extreme weather, nor climate change nor global warming. Government currently do not acknowledge the existance of chemtrails. US government do not even acknowledge the danger of contrails. Research for the effects of trails to the environment exists, most reported the bad effects of trails. But they do not reach the government. Ground vehicle have very strict emission regulation, but currently there are no regulation at all that limit the pollution made by air travel. Even if we can not stop chemtrails right now, there is still a way. We can try to neutralize chemtrails by using the legacy of Wilhelm Reich. But please be very selective. According to Eva Reich, his daughter, Wilhelm Reich do not want to upset the weather. He do not wish for storm, tornado, lightning or other extreme weather phenomena. He create gentle rain with his orgone device. No one today can achieve the same with his cloud buster. Some people try to use the variation called orgonite. Orgonite was once a tool to calm weather, but not anymore. I found that today's orgonite is a device that will make the weather worse instead, this is based on claim that orgonite will worsen the weather when it cleans the chemtrails. The other thing you can try is cemenite, which already been tried in South of Surabaya, East Java, Indonesia. The range is very limited but the result after two year of implementation looks very promising. Calm weather and better plant growth is observed.